The thyroid is a gland in our necks that secretes hormones responsible for regulating many vital metabolic processes in the body such as cell development, heart rate, respiration and digestion. The thyroid releases hormones into our bloodstream which help to manage our metabolism and keep our endocrine gland secretions in sync. The primary hormones released from the gland are thyroxine (T4) and triiodothyronine. They are necessary in the healthy functioning of cells, regulating the speed at which they work. Thyroid issues can be difficult to pinpoint when symptoms often mimic other issues like depression or menopause. An inactive or underactive thyroid is when the body isn’t producing enough of the hormones and the functioning of the cells and organs associated eventually slow down. This decrease in speed can slow the heart rate and even the rate at which food is being digested, leaving you feeling constipated and sluggish. Other signals linked to hypothyroidism to be aware of are weight gain, fatigue, poor concentration and depressive states. It’s no surprise then that an overactive thyroid causes an almost direct opposite response in the body to an underactive thyroid. When there is too much thyroxine, the speed at which the cells and organs function increase and this is called, hyperthyroidism. The increased activity of the cells can lead to a rise in heart rate contributing to anxiety and insomnia, as well as increased movement of digestion leading to frequent bowel movements or even diarrhea. Hypo and hyperthyroidism can often be misdiagnosed due some of the ambiguous symptoms. Before being treated for depression, it’s often a good idea to have the thyroid checked first to ensure you’re not missing a key underlying issue. Initial investigations into thyroid status normally start with a blood test via your GP. An overactive thyroid could also easily be mistaken for anorexia or even a panic disorder. Thyroid problems are more likely to be aggravated during periods of hormonal fluctuations such as puberty, pregnancy, postpartum, perimenopause and menopause so if any of this resonates and you’ve not had yours checked yet, it’s a good thing to do. Since both our thyroid and our blood sugar levels are controlled by the endocrine system, the two are naturally connected. 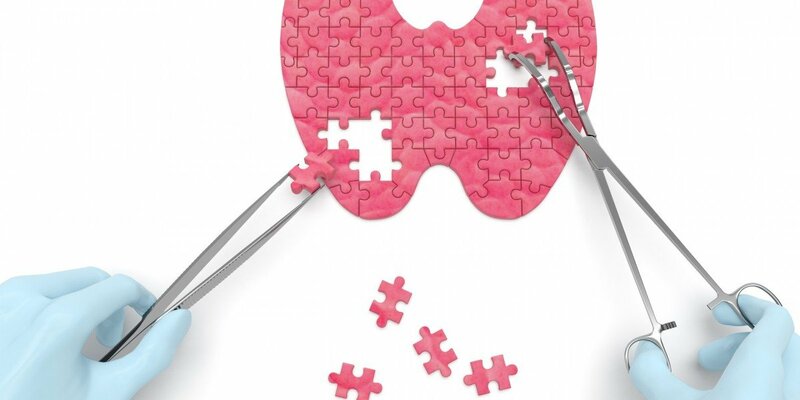 Although thyroid disease doesn’t directly affect blood sugar levels, if it goes untreated, managing blood sugar levels may become very difficult. The impact the thyroid symptoms have on the body affects how the body metabolizes glucose and insulin. The healthy functioning of the thyroid therefore, along with the rest of our body’s systems, is often dependent on what we are consuming and how stressed we feel. Everything is connected and although it’s important to understand each system in isolation, sooner or later we start to connect the dots and understand how they all work together to keep us in balance. If they’re working together, we need to work with them too.